The organization of time and space is one of those subjects that they can not be exhausted. Well, I have to admit that they are one of my favorites. In today’s article I collected for you 10 creative ways to organize and sort out the interior of a house or apartment – and all of them are methods of DIY (do-it-yourself) that you can easily do yourself. 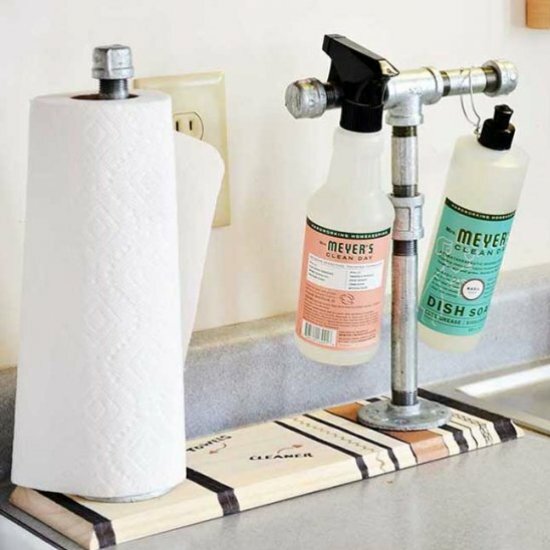 Pipe paper towel cleaner holder. A simple craft project to create a space to showcase everyday cleaning supplies in a new and beautiful way.